You know you've made it when you're on Will Smith's radar. Lil Nas X - a social media influencer/Atlanta rapper - is blowing up right now as his country rap track "Old Town Road" sweeps the nation. Haven't heard of 'em? Yeah, we hadn't either. Till now. What started as a funny, trending meme, the song - "Old Town Road" - is now a legit new song that's making moves on the music charts. 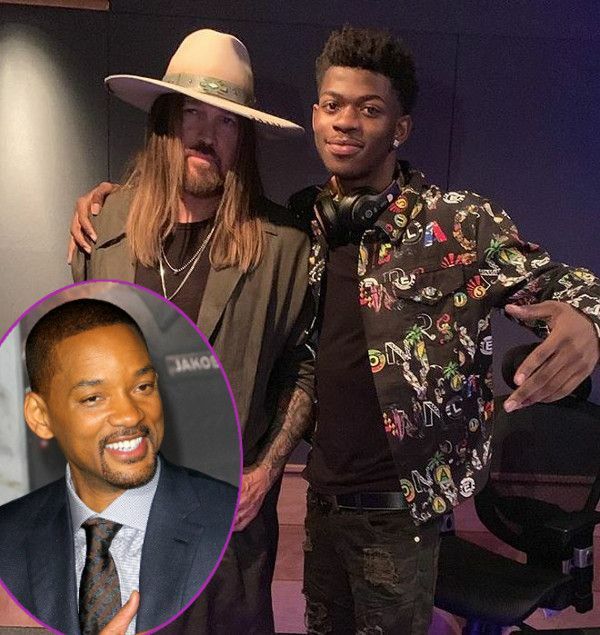 There was controversy behind the hit track "Old Town Road," which was originally released by 19-year-old Lil Nas X in December. The song blew up on the popular app Tik Tok, which is an app where you can create and share short music videos. In March 2019, the track made its way to the Billboard charts, landing at the No. 19 spot on the "Hot Country Songs" list. A week later, Billboard yanked the track from the country charts, later stating to Rolling Stone that the song doesn't "embrace enough elements of today's country music." It remained on the Hot R&B/Hip-Hop list. That's interesting, since Taylor Swift was still in the Country category until she, herself, said she was Pop. “Old Town Road” now sits atop Billboard’s on-demand streaming chart, garnering 20.2 million listens just last week. The track also broke into the top 15 on its general Hot 100 singles chart. After Billboard gave him the boot, he caught the attention of country music singer Billy Ray Cyrus (Miley Cyrus' dad) and got the country co-sign he needed. He hopped on the remix! Next thing you know, the remix drops and everyone wants in...including Will Smith. The actor - who's currently filming Bad Boys 3 with Martin Lawrence - hopped on Instagram to put his bid in to be in the video. He shared clips from his 1999 video for his "Wild Wild West" song with "Old Town Road" playing in the background. Ha. We're sure it'll make it back on Billboard's Hot Country Songs list now. Hmph. With Billboard yanking the track off the country music charts, it only exposed the genre gatekeepers who continue to try and dictate what's considered "mainstream" in the music industry even though music has become so blended over the years. It's not as divided as it used to be, however, it seems the industry honchos are trying to keep it that way. Makes you wonder if Lil Nas X was a different race and released the same song would it have been taken off the country charts.